Last seen the evening on 10/8/13 in Dawson Lane Community. 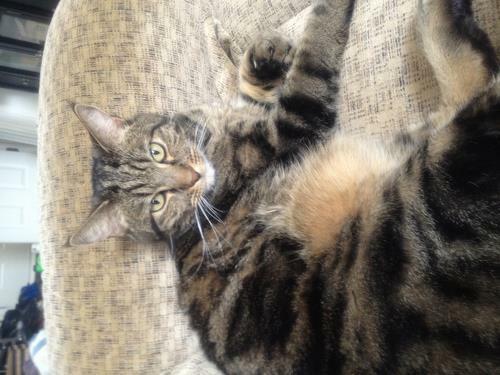 Medium haired tabby with black & tan marbling, he may be limping as jumped from balcony. He is wary of loud noises. Answers to Buzz or Buzzy.